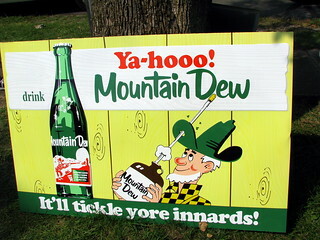 The iconic Mountain Dew labeling is reminiscent of the mountain culture of Appalachia so it is perhaps not a surprise that Mountain Dew is wreaking a special kind of havoc with the dental health of Appolachian residents. The drink ia a popular favorite there and, aided by factors noted in this article, is resulting in startling damage to teeth. As an example, the Centers for Disease Control and Prevention has reported that roughly 2/3 of West Virginians 65 or older have lost at least six teeth due to tooth decay or gum disease. The article covers actions being taken or considered to slow down this devastating trend.